Hi 1L's! If you're stress procrastinating then you've come to the write (ha) place! I know many of you are dying over your memos, so this post is for you! Unfortunately for me, when I transferred I didn't have enough Legal Writing credits so I got to take it again last semester. Last year when I got my grade for my memo and did pretty well so I figured I'd again share my small expertise and also toot my own horn because I'm pretty excited. As some of you may know, this actually was my second memo to turn in so I feel like I've learned enough to share some tips with y'all. I'm not going to spend too much time going over this because I bet your professor has probably bored you senseless over how to do legal research. But I do have a few tips. 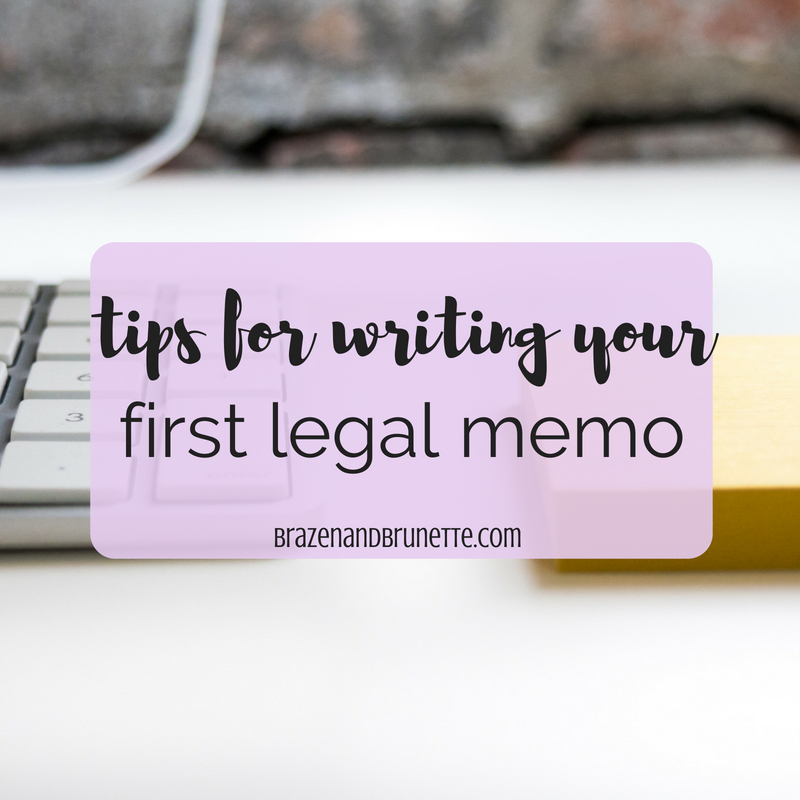 One is try to find a law review article over the subject of your memo or even the main case of your memo. This is a shortcut to find lots of relevant cases and have them already explained and analyzed for your. 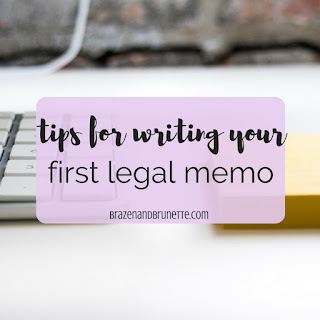 Most likely your memo will be an objective memo where essentially a higher-up attorney is trying to decide whether or not to take the case, and if they do, how they should proceed. Because of this, you'll want to make sure you give them all of the good and all of the bad information. Say you found a case that you could use to show that your client was definitely acting in self defense when she shot her husband because he was attacking her. That's good for your case, yes, but you should also see if there were any cases that held differently. So check to see if there any distinguishing subsequent cases to the one you found, because you don't want to blindside your boss by missing another case that said it definitely wasn't self defense because she took too long after the attack to shoot him. A strong memo has just as many "this is why we might lose" arguments as it has "this is why we should win." For me, this always ends up taking forever. I'm talking I spend like 2-3 hours just figuring out the order of my arguments. First, you'll need to come up with your 3-4 main arguments. Then you'll need to take the cases that you've already found and figure out which ones best fit each argument. After that, rank your arguments strongest to weakest. I suggest you write them in the order of strongest, strong, weakest, stronger so that you begin and end on your two strongest points but bury your weakest one in the middle. Whatever order your cases end up in, you'll need to think of how each case connects to the one before and the one after it. This can get hard because sometimes a case relates a little bit to two other cases, but it won't fit in to the order of your arguments, so you have to do a little re-arragning. It's really important, though, because doing this helps make your memo flow in one direction rather than jump around from argument to argument. Try to find cases with similar facts, and then discuss their relevant facts, what the court decided on those facts (the holding) and why the court decided that way (the reasoning). Make sure that you also discuss the similarities between your case and the old cases, the differences between your case and the old cases, the facts that support your client's and their opponent's arguments, reasons that support your client's and their opponent's arguments, and what will happen if your court applies the law of that case to your case. You should also try to figure out what the opposing counsel will argue and come up with a rebuttal.